Rich with a hint of chocolate. Molé! Delicious New Blend Hits the Streets!! 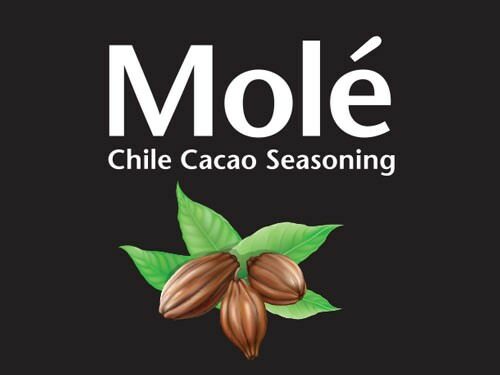 All of us here at Dizzy Pig HQ are super excited about Molé! Everyone on the Dizzy Pig Team has been cooking up a storm, and there is a robust confidence in the air that we have another winner here. A hint of chocolate, a ton of earthy and fruity chiles, a deliberate dose of cumin, all combine for an amazing flavor experience. Molé has Just enough heat to wake up your taste buds without blowing them off, and the flavor shows off its depth by developing as you chew. Molé is ready to ship!! Our dealers were notified in advance so they could stock their shelves. Give your local dealer a call to see if they have it in stock yet! It’s live on our website, so if you’d like it to come to your door, hop on over and get your order in! Long time friend of Dizzy Pig, Erin Matteson from Peppermonkey BBQ, said she was looking for something deep, dark, with lots of chiles and cumin. So Chris got in the test kitchen, had loads of fun turning the spice cabinet inside out and upside down, and came up with the idea to add the “superfood” cacao to give it a hint of chocolatey goodness. Molé was born! Our Departure Series blends have no boundaries. We leave it up to you to take the journey and discover your favorite uses. We’ve already used it with beef, chicken, pork and beans and the flavor has been incredibly tasty on everything so far. As always, we can’t wait to see all the ways cooks end up using this delicious blend.